To paraphrase William Shakespeare in “Hamlet”, it was time to “get thee to a nunnery”, or at least to some building of substantial construction. Ophelia was Hamlet’s girlfriend, and she was destined to give West Cork a damned good shaking. She was the first time a category 3 hurricane was reported so far east in the North Atlantic, so it was destined to brings some unusual weather to this part of the World. At the time, it was the biggest single weather event on the planet. Hurricanes normally form in the warm tropical waters and head NW for the Caribbean, but not this time. 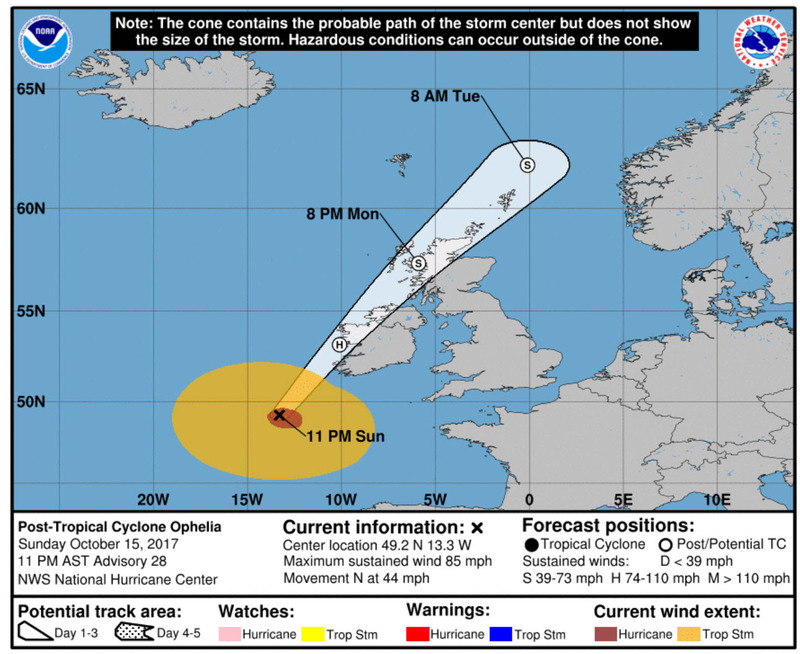 The NOAA map shows how close Ophelia came to SW Ireland with true hurricane-force winds. The power of the storm had been reducing as she travelled north over cooler waters, however she was soon to be caught up in the Jet Stream and whisked off to landfall in County Cork. By the time Ophelia reached Ireland, the winds had just dropped to post-Tropical Storm force (officially), although there were plenty of gusts at hurricane force. 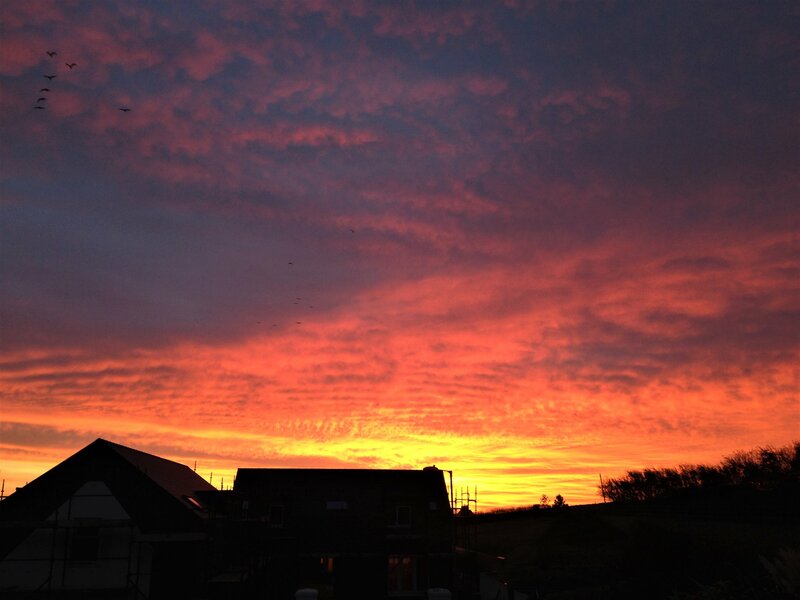 There was a spooky atmosphere ahead of the most unprecedented weather event in Ireland for more than 50 years. The calm before the storm at Sandscove, 12 hours before hurricane Ophelia paid a visit, was real. Many pictures and videos show the power and destruction of Ophelia better ways than words, however the family living at Old Kinsale Head had a very rough time of it. The Ardfield district was without power and water for just over a couple of days, although a few unfortunate souls had to wait for a couple of additional days. At the height of it, the wind was howling around Ballynoe House. As the video shows, despite the noise, Casper (our cat) wasn’t bothered by it at all. It was also reported that a record wave height for Irish waters was noted at the Kinsale offshore gas platform at 26.1 metres (85 feet). 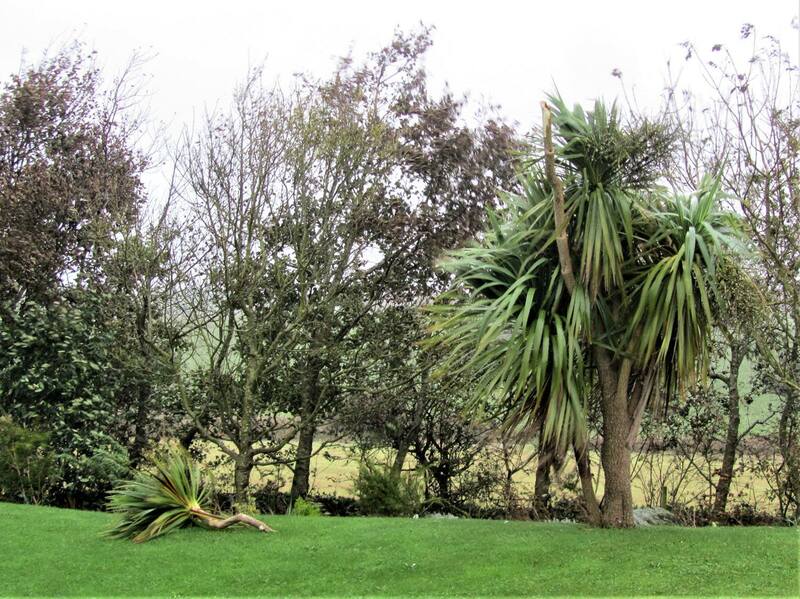 Ophelia was a good test of Ballynoe House and the holiday lets, and fortunately there was no structural damage. Some fencing was broken and a couple of trees required the chainsaw. 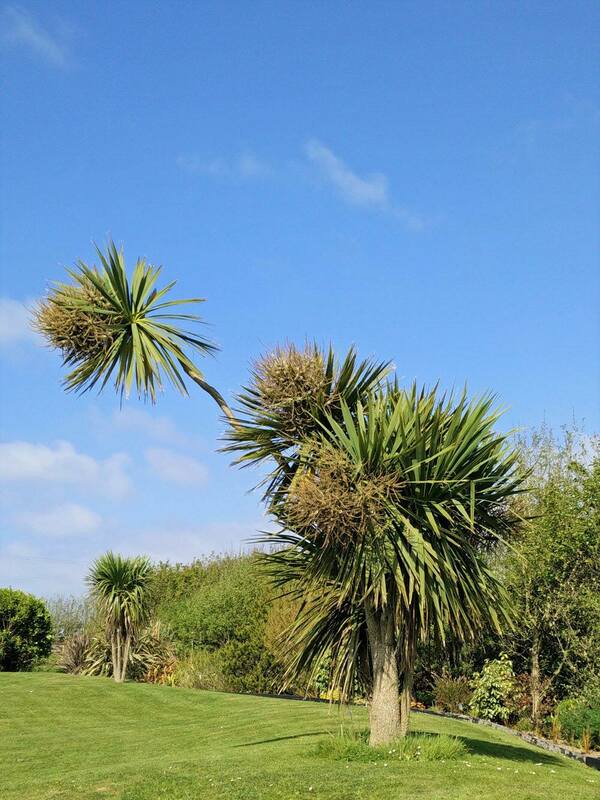 Four cordyline heads were lost, include the “head” of the cordyline named “Big Bird”. Ophelia was followed a few days later by “weather bomb” Brian, but it was not comparable to Ophelia, which will be the talk of the County for many a long year. Guests at Ballynoe House Holiday Lets will benefit from automatic and emergency lighting installed in the properties as an additional safety feature, should such events happen again.